It’s that time again everyone, the time when we nominate both Shannon’s and somehow we take for granted what they are doing to the league this year. Will anyone stop them? At least we know next week they can’t be nominated. This week, Jim Shannon again had a fantastic week. This time he batted .800 with an OPS of 2.600m hit 3 home runs, and had 7 RBIs. I feel like I write out these numbers every week. Right behind and not to be outdone again, Jack Shannon batted .600, an OPS of 2.500, hit 4 home runs, and had 9 RBIs. Sorry everyone else, but these two brothers are far and away better than the rest of the league (in batting at least). His first nomination since 2014, Kevin Higman is back. This week Higman batted .636, had an OPS of 2.364, hit 3 home runs, and had 6 RBIs. Good to have you back on here Kevin. 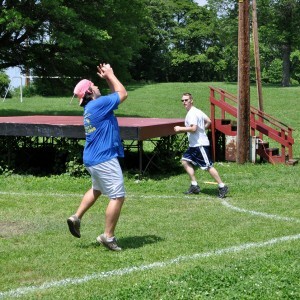 The Twits finally were able to hit some home runs on Sunday, and Dan Lockbaum was the reason why. On the day, Lockbaum batted .444, an OPS of 2.222, and had 4 home runs for 8 RBIs. This is Pete Hackeman’s first POTW nomination ever. Is that actually possible? Congrats Pete! On the day, Pete was almost impossible to get out, batting .643, an OPS of 1.786, hit 2 home runs, and had 7 RBIs. 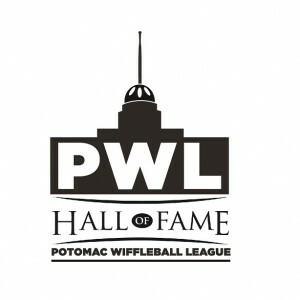 The PWL announced the final results of the 2015 Hall of Fame balloting. Four players, two active, and two retired, were elected to the Hall as the first members. Complete voting results for all 65 players appearing on the ballot is below. After 20 seasons the first Hall of Fame election has been completed and four players have been chosen. The winners, as well as the full voting results will be announced this week. All players in league history who had 100 regular season plate appearances were eligible to vote. There were 146 eligible voters. While contact information from the early days was spotty, either email or Facebook information was collected for all but one of those voters. 71 of those eligible voters, 49% ultimately cast a ballot. 37 of the 71 were current players this season, and 34 were past players. The ballot consisted of all players in league history who had 200 regular season plate appearances. It included 65 players eligible for election to no more than six Hall of Fame members. 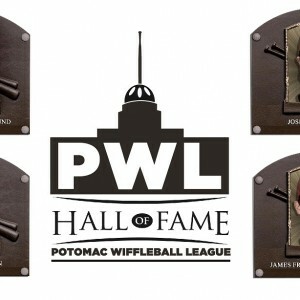 The complete details of the voting and this year’s ballot can be found on the Hall of Fame page. Players needed to appear on 75% of the ballots cast in order to be elected. Every voter was able to vote for up to 12 players, twice the number of eligible positions. 53 votes were needed for a player to be elected. Three of the four players elected received the exact minimum number of votes at 53, and the other Hall of Famer received one more, at 54 votes. 57 of the 65 eligible players on the ballot received at least one vote. Commissioner Gallaway was happy with the process, but recommended changes for the future. Gallaway proposed several changes for future ballots, which ultimately will be up to the next Commissioner. If the current process is maintained, at the conclusion of the Spring season there will be at least 149 eligible voters, possibly 151. There will also be 72 players eligible for election, possibly 74, increasing the total number of positions that could be elected to seven, with four currently filled. With three open positions, players would be able to vote for six players on the ballot of 68 eligible. The Summer season will likely bring additional eligible voters and players for election as several more players will hit the 100 plate appearances needed to be eligible to vote, and 200 plate appearances to appear on the ballot. We’re almost to the end of the Spring Season. 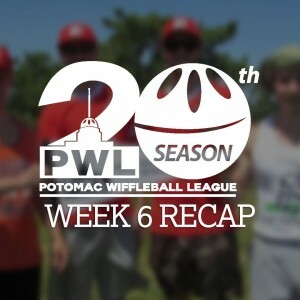 While there isn’t much excitement in the playoff race, soak in the last couple of weeks of Gallaway-era wiffleball while you can. Maybe make friends with an umpire or exchange emails with a scorekeeper before they become extinct. This will be Commissioner Gallaway’s final regular season week. 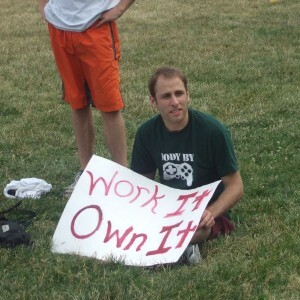 During Week 7 he’ll be managing the PWL All Stars traveling to the St. Louis to play in the NWLA Tournament. Commissioner-elect Hudson will be running the show the final week. (Don’t worry he’ll have extra time since he doesn’t have to prep for the playoffs.) This will be just the third time in 20 seasons of league history the Commissioner has missed an entire week of wiffleball. There is a 100% chance (so you’re saying there is a chance) of thunderstorms Sunday afternoon. Combine that with 91 degrees and you’ve got a recipe for amazing wiffle. Though, if we do get to play, wind out of the south at single digits will be great. Come play anyway. Barnburners – Win out and they’re the #1 seed. Due to some interesting schedule maneuvering by the Commish they only have two games left. It’s not impossible to see them being apathetic/hungover enough to fall to a motivated Wolfpack team Sunday morning but we’re not sure they really care if they do. Why would they in the grand scheme of things? Wolfpack – Somehow have the inside track to a first round bye despite their entire season being out-homered by Bryce Harper in a decent week. Finally catch a break and return to their desired Green field (it matters people) for a showdown with the Barnburners. Even if they lose they’ll be favored in the rest of their games as Nitto admits to losing sleep over their lefty bats. Have to play those pesky Circle Jerks and their sweet quads again but our money says they’ll be a focused team the rest of the way and start to look like what we expected preseason. Moose Knuckles – Something hasn’t looked right all year for these perennial contenders but they should still see the postseason. They’ll need Andrew Flowers to stop getting so torched (his term, shocking it hasn’t caught yet) on Saturdays and revert back to this .480, RBI smashing self to make any noise though. Gumballers – Huge win over the Canvassers could have them sneak into the #2 seed but they have two tough games remaining. Should go 3-1 and find a way to lose to the Moose Knuckles in the first round despite being the vastly better team. Maybe being a lower seed breaks the curse? Janitors – Quietly winning most of their games while scaring nobody, unless you count the innocent children of Gravelly ducking Felix Fernandez’s chalk and bat tantrums. Gagnon owns them so it looks like they’re heading for a first round matchup with the Canvassers. DC Twits – We’ve covered them enough, they just needed to win one game against a playoff team and didn’t do it. Carry on. Chicken and Wiffle – So they beat the Gumballers but losing to the One Hit Wonders aka the Who the F Are All Those People on the Bench-ers has them on the outside looking in. Too bad really, would have been really fun to have them trying to unseat the old guard and make the first playoff appearance in franchise history. Dupont Circle Jerks – Everyone’s favorite protein gobblers have kept every game close but likely need another bat to really contend. Can still disrupt everything by beating the Wolfpack in their finale to sweep the season series and send Adriano into rehab. We had one automatic nomination from last week, Adriano DeSorrento with a no hitter (nearly two). While he wasn’t amazing at the plate, Adriano pitched 12 innings of one hit ball for both wins, striking out 10 in the process. 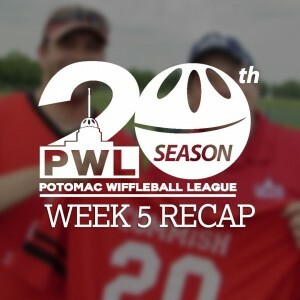 Having an up and down season, Sean Whalen of Chicken and Wiffle certainly had an “up week” this time. On the day, Whalen batted .556, hit 2 homeruns, had 4 RBIs, and an OPS of 1.778. Can we go a week without these two nominated? I guess we will in the final week when they both aren’t here. Let’s just do the stat line here, Jack Shannon batted .667, hit 3 home runs (all solo shots), and had an OPS of 2.444. Not to be outdone again, dearest brother Jim Shannon had himself a day at the plate also. Jim batted .600, hit 4 home runs, had 7 RBIs, and an OPS of 2.400. He also pitched 2.5 innings of no hit ball with 2 strikeouts. Jeff Nitto is having an amazing season and is the main reason the Gumballers are a near playoff lock. This week he batted .667, hit 2 home runs, had 5 RBIs, and an OPS of 2.222. He also pitched 14 innings, won both games, and struck out 15 with an ERA of .086. 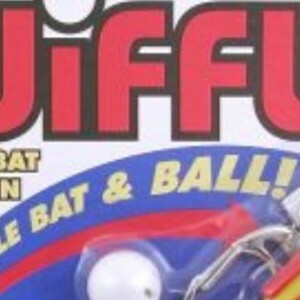 No wiffleball this week for the Memorial Day holiday. Enjoy the break, but take some BP, you need it. Two more weeks of regular season, then it’s all over for the Spring except the trophies. Player of the Week for Week 5 voting will open next Tuesday and run through the traditional Friday at noon deadline. Hall of Fame voting is open to any player who had at least 100 AB’s in league history. If you didn’t get your ballot email the Commish today. Deadline to vote for the Hall of Fame is May 31st. This is the first player election vote in league history. Scoring corrections for Week 5 are still due this Saturday, or won’t be considered. It might be a holiday weekend, but the business of wiffleball never closes. Or at least, the rules don’t provide for it. Gumballers take down the Canvassers in extras in the game of the week. Pete Hackeman reportedly still at Gravelly arguing the officiating. Moose Knuckles drop one to the Bald Beavers and were about to lose two but the Besley Bashers were busy at brunch and couldn’t be bothered to show up. Lucky for them their division is terrible. Wolfpack continue to impress nobody with a pair of extremely uninspiring 1-0 wins over mediocre teams. The rest of the league are all embarrassed they currently sit in second but aren’t really making moves to do anything about it. Garbage Plates back up their Twitter promise and win their first two games of the year. They scored 11 runs after scoring 7 total in their previous 8 games, apparently someone told them the team with the most runs at the end of game wins. Barnburners continue to do Barnburner things, putting up 16 runs in two victories. We’d like to say they get their first real challenge Week 6 playing the Wolfpack but three consecutive 1-0 victories aren’t really putting a scare into anyone. 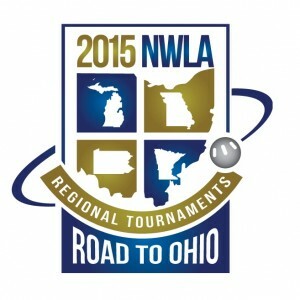 The PWL All Star team heading to the NWLA tournament will be the PWL Nationals. The team is guaranteed a spot in the National Tournament in Columbus because of a top 8 finish in 2014, but the Regional Round is still required. 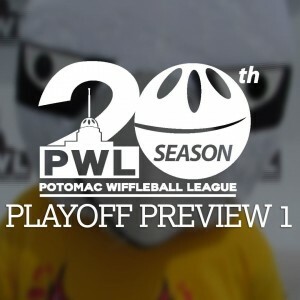 The PWL will play in the St. Louis Regional Sunday, June 7th, the same week as the final week of the Spring 2015 season. All four members of the #1 Nationally Ranked Blandsford Barnburners will play on the Regional Roster. Commissioner Gallaway manages the team. The roster for the Regional can be changed 6 times before the Nationals. Summer 2014 MVP Nick West, and three time NWLA roster member Matt Gagnon are on the short list for potential national roster replacements. Several regional choices were altered because players needed to stay in DC for Week 7 games.